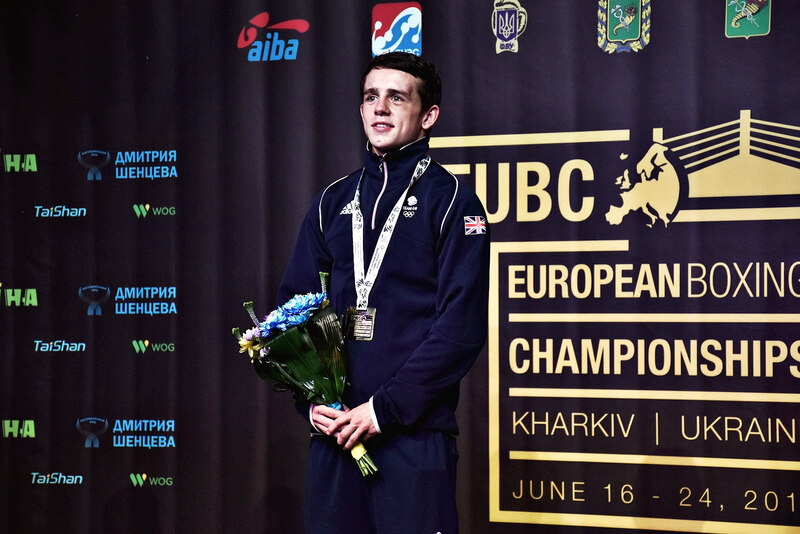 A gold medal for Liverpool’s Peter McGrail capped a historic week for GB Boxing at the EUBC European Boxing Championships in Kharkiv, Ukraine, as the team secured a record breaking haul of eight medals. McGrail’s victory in the bantamweight division, emulated the achievement of Luke Campbell from 2008, and makes him only the second Englishman since 1961 to win the European Championship. The 21-year-old was too fast and elusive for the home nation favourite, Mykola Butsenko, and even overcame a questionable point deduction in the second round, to secure a well-deserved 3-2 split decision victory. Peter McGrail said: “I am absolutely buzzing. I don’t think there has ever been a European Champion from Liverpool before, so to be the first is amazing. “It’s been a really tough week but I thought I boxed well today. It was a bit worrying when I got a point taken off, but to think that I still won, even with the point off, shows that I was definitely the better man on the day. McGrail’s win was the highpoint of a historic tournament in which English boxers from the GB Boxing Olympic squad contested finals in seven of the ten weight classes. However a series of agonisingly close bouts, which saw English boxers finish on the wrong side of three split decisions, meant the team ended the tournament with one gold, six silver medals and one bronze. 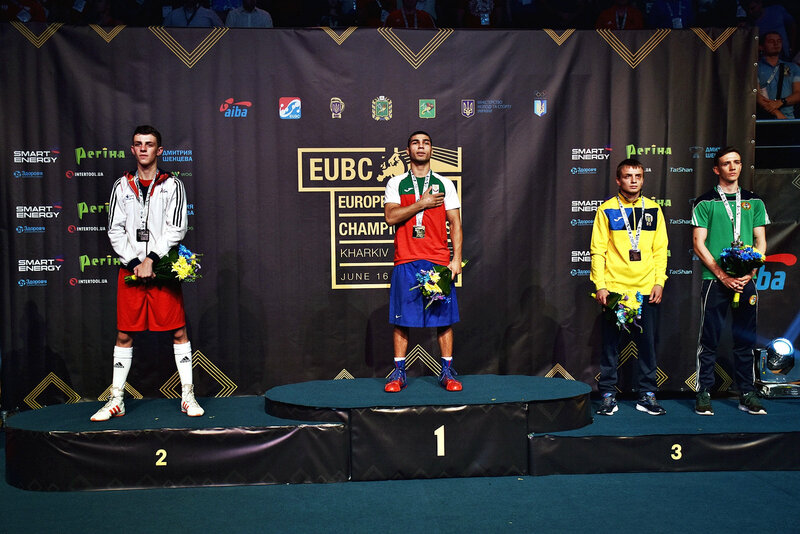 The eight medal haul is the best ever performance by GB Boxing at the European Championships and surpasses the six medals won by the team which competed in the 2015 event in Bulgaria. It was an astonishing performance given the inexperience of the team, in which six of the medallists were making their first ever appearance at a major (World, European or Olympic Games) international tournament. GB Boxing’s Performance Director, Rob McCracken said: “To bring such an inexperienced team to a tournament as difficult as the European Championships and leave with eight medals, with seven boxers making the final, is an unprecedented achievement by the boxers, the coaches and all of the team. “Peter McGrail boxed superbly today. He is a great talent and showed his full range of skills and I thought he fully deserved to win the title. “All of the boxers have acquitted themselves superbly throughout this week, and after some excellent performances today, I think the team can consider itself very unlucky to come away with only one gold medal. The first two bouts of the day saw Birmingham’s Galal Yafai and Niall Farrell both box superbly, only to be denied by split decisions. Yafai looked to have got the better of the defending champion, Vasili Egoroiv of Russia, with a strong third round showing in the light-flyweight contest yet had to settle for silver when the judges’ narrowly awarded the win to his opponent 3-2. It made him the third member of the Yafai family to win a European Championship medal and emulated the achievements of brothers Khalid and Gamal who won silver and bronze respectively in the 2010 tournament. The flyweight contest saw Niall Farrell belie his inexperience to give the defending champion, Daniel Asenov, a stern test which left the Bulgarian a relieved man when the judges’ saw the bout 3-2 in his favour. Next up were twin brothers, Luke and Pat McCormack, who delivered good performances but were forced to endure disappointment. Luke lost a unanimous decision to the hard-hitting Armenian, Hovhannes Bachkov in a terrific light-welterweight bout. 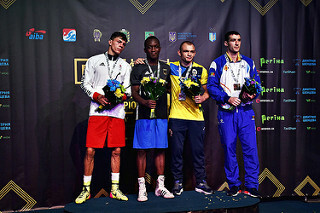 Pat faced the relentless style of Germany’s, Abass Baraou, in the welterweight contest yet despite using his boxing skills to douse the German’s fire he was edged out by a split decision (4-1) and had to settle for a second European silver medal to go with the one he secured in 2015. 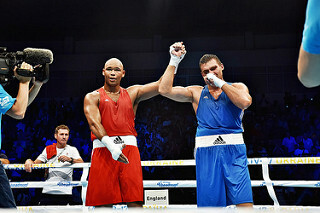 The 91kg contest saw Great Britain’s rookie heavyweight take the fight to Russia’s defending champion Evgeny Tishchenko. The Gravesham man threw everything into the bout and landed a number of hefty blows but could not compete with the experience of the Russian who was awarded a unanimous victory by the judges. The final bout of the day was another bruising contest as Great Britain’s Frazer Clarke took on Viktor Vykhryst at super-heavyweight, however he could not do enough to prevent the home nation boxer from winning Ukraine’s third gold of the day with a unanimous victory. Images of all of the boxers from the GB Boxing squad in action this week can be accessed at https://www.flickr.com/photos/aibaboxing/.